Get into the spirit of that galaxy fur, fur away! 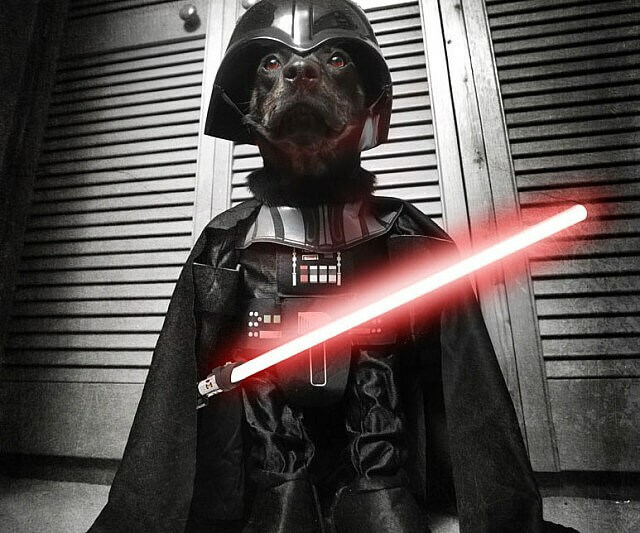 Whether you think your dog has an Ewok face, Chewbacca’s nose, or Yoda’s ears, we have the perfect Star Wars costume for your pet. This costume is perfect for those teddy bear-looking pets. The Ewok costume features the classic hood/garb and features two Ewok ears. The hood features a tie to fasten the hood atop your dog’s head. 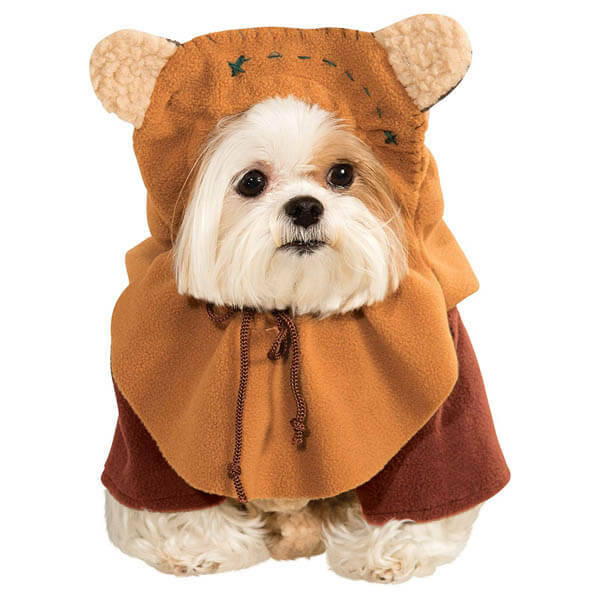 The Ewok costume for dogs also comes with a shirt to wear under your dog’s hood to complete the authentic Ewok warrior look. Get Your Ewok Costume Here! 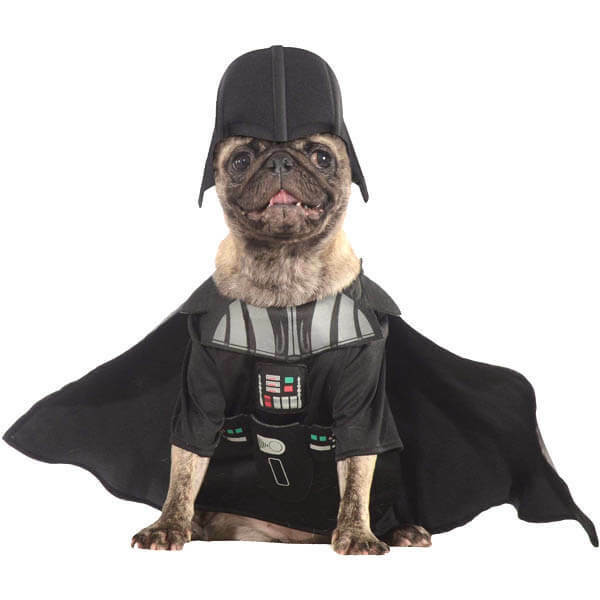 Now your four-legged friend can become the dark lord and join the dark side in this officially licensed Darth Vader dog costume. Realistic breathing sounds included (only if it is a Pug!). Get Your Darth Vader Costume Here! 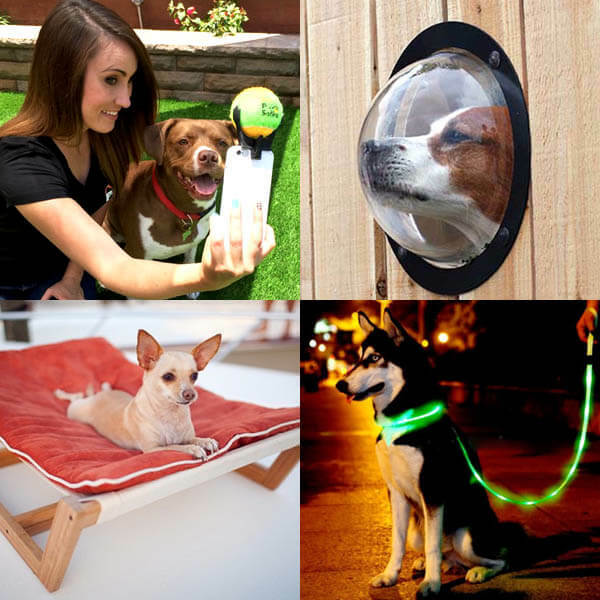 Now your furry friend can become the Jedi Master! This officially licensed Star Wars costume features a step-in Yoda shirt, front legs and a green headpiece with iconic Yoda ears. 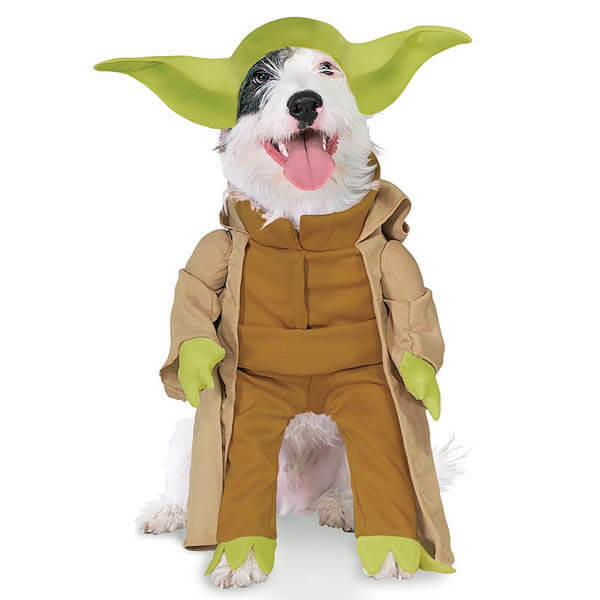 Get Your Yoda Dog Costume Here! 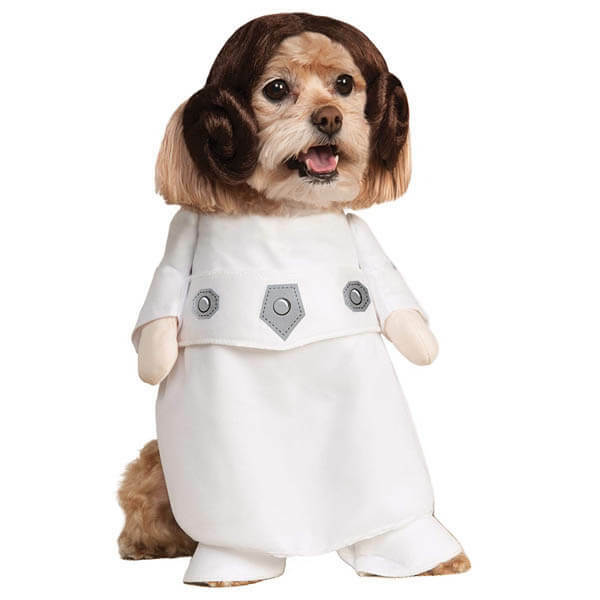 Princess Leia pet costume features a dress with foam arms, and headpiece with Leia’s signature hairstyle. If your puppy has floppy ears you do not even need to worry about the cinnamon buns. Get Your Princess Leia Costume Here! Sure, it might look wonky, but it is so cute to have a furry R2-D2 following you around. 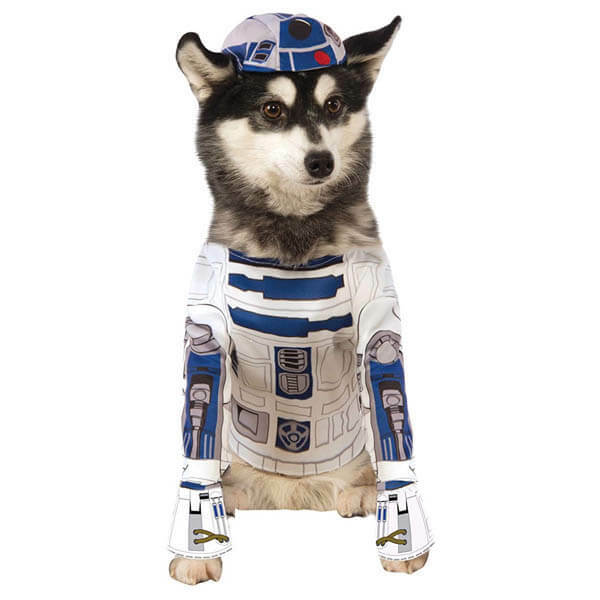 Get Your R2-D2 Costume Here! Straight from Tatooine! 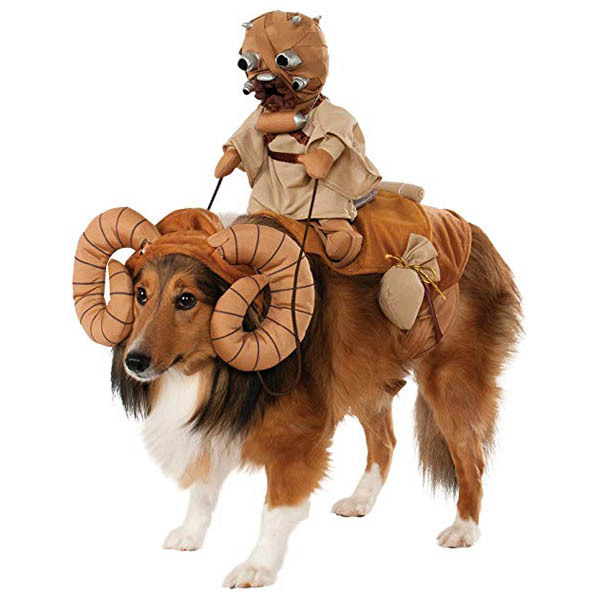 This Bantha pet costume comes with a hood, horns and rider! Get Your Bantha Costume Here! May the force be with you! 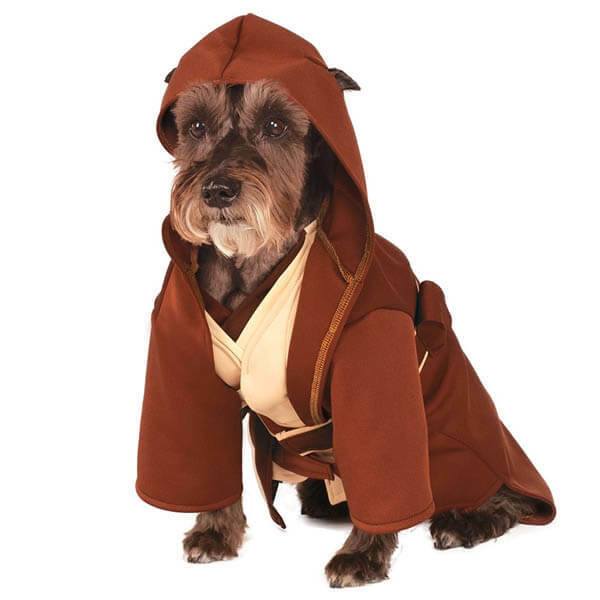 This Jedi dog costume includes the classic Jedi cloak, shirt and belt. Get Your Jedi Costume Here! 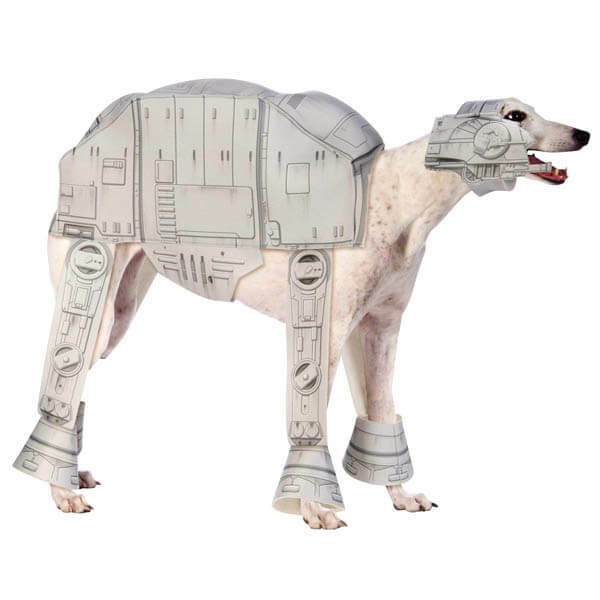 Make your pet look like an AT-AT with this geeky and highly detailed pet costume. This costume will scare all the other hounds in the neighborhood. Get Your AT-AT Costume Here! 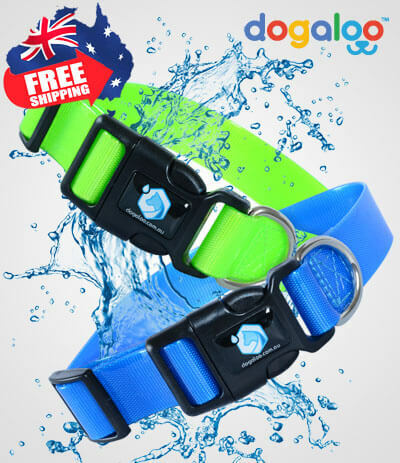 More Cool Pet Supplies Here!